Are you encouraging toddler learning activities with your child? When it comes to your child’s development, the toddler years are an instrumental time. During this time, your toddler is soaking up everything around them. Consequently, this is a great time to encourage your toddler’s learning. While the toddler years are a great time for learning, you must remember that each child is different. But, what should you do if your toddler does seem to be behind? First, don’t become discouraged if your toddler’s cognitive or physical development seem to lag behind others of the same age. On the other hand, even with serious cognitive development delays, your toddler can still make progress during this time. No matter what, you should encourage your toddler to learn. Thankfully, there are hundreds of learning activities to enjoy with your toddler. Best of all, these help to promote active learning and meet individual milestones. When assisting your toddler with active learning, you need to focus on memory, concentration, perceptions, and attention. By incorporating toddler learning activities into your toddler’s daily routine, you can make huge strides in your toddler’s development. The first toddler learning activity is identifying noises. By identifying noises for your toddler, they will begin to understand how objects in their environment relate to sound. As you go through the day, you should identify any sounds that you hear and correspond the noise with the object it comes from. It doesn’t matter if the song is a lullaby or a funny song, you should sing songs with your toddler. Singing is a great way for your toddler to learn word identification and improve memory. When you are riding in the car together, play music for your toddler to sing-a-long with. Another of the toddler learning activities is identifying shapes and colors. This identification practice encourages memory. To help assist your toddler, you can point out the colors and shapes of objects you see or touch. The more times you associate descriptors with your child, the easier it is for them to identify and remember the names of the shapes and colors. Finally, the last toddler learning activity is encouraging counting. Taking every opportunity that you can to count objects provides your toddler with the opportunity to improve memory, concentration, and attention. You can count the number of bananas on the counter. Or, you can count the number of cups that you get out for meals. In no time, you and your toddler will be counting everything you come across. The toddler years are a fantastic time to encourage learning. 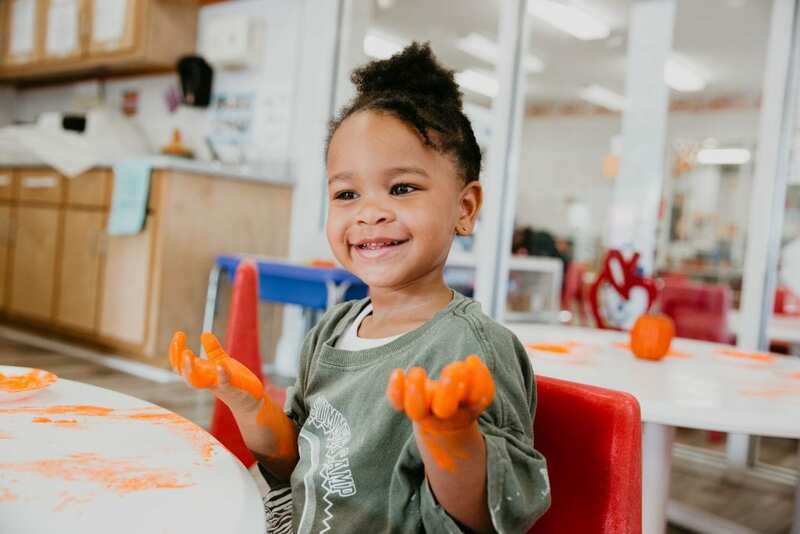 Your toddler is eager to learning and grow, so take advantage of their enthusiasm and facilitate toddler learning activities. There are several learning activities that you can incorporate into your toddler’s day. The most important thing to remember is that by encouraging these activities, you are helping to improve their development. Choose one or several of the activities mentioned and get started today. Contact Legacy Academy for information about toddler learning activities.